The Text Analytics API is a cloud-based service that provides advanced natural language processing over raw text, and includes four main functions: sentiment analysis, key phrase extraction, language detection, and entity linking. Named Entity Recognition (NER) is the ability to take free-form text and identify the occurrences of entities such as people, locations, organizations, and more. With just a simple API call, NER in Text Analytics uses robust machine learning models to find and categorize more than twenty types of named entities in any text documents. This adds to the suite of powerful and easy-to-use natural language processing solutions that make it easy to tackle many problems. PowerShell in Azure Cloud Shell became generally available at Microsoft Ignite 2018. Azure Cloud Shell provides an interactive, browser-accessible, authenticated shell for managing Azure resources from virtually anywhere. With multiple access points, including the Azure portal, the stand-alone experience, Azure documentation, the Azure mobile app, and the Azure Account Extension for Visual Studio Code, you can easily gain access to PowerShell in Cloud Shell to manage and deploy Azure resources. You can use the Update Management solution in Azure Automation to manage operating system updates for your Windows and Linux computers that are deployed in Azure, in on-premises environments, or in other cloud providers. You can quickly assess the status of available updates on all agent computers and manage the process of installing required updates for servers. You can enable Update Management for virtual machines directly from your Azure Automation account. You can also enable Update Management for a single virtual machine from the virtual machine pane in the Azure portal for Linux and Windows virtual machines. Read this post to learn about the new features we added over the past year in response to your feedback, including groups with dynamic membership, onboarding new machines into Update Management, pre/post scripts to invoke Azure automation runbooks, update inclusion, and reboot control. Announced last month at Ignite, Secure score is a security analytics tool that provides visibility of your organization’s security posture and helps to answer the most important question, “How secure is my workload?” Secure score takes into consideration the severity and the impact of the recommendation. Based on that information, it assigns a numerical value to show how fixing this recommendation can improve your security posture. The overall Secure score is an accumulation of all your recommendations. You can view your overall Secure score across your subscriptions or management groups, depending on the scope you select. The score will vary based on subscription selected and the active recommendations on these subscriptions. Availability Zones is a high-availability offering that protects your applications and data from datacenter failures. Availability Zones is now available in the North Europe and West US 2 regions. Zone-redundant services replicate your applications and data across Availability Zones to protect from single-points-of-failure. An expanded list of zone-redundant services including Azure SQL Database, Service Bus, Event Hubs, Application Gateway, VPN Gateway, and ExpressRoute is now available. With Availability Zones, Azure offers industry best 99.99% VM uptime SLA. 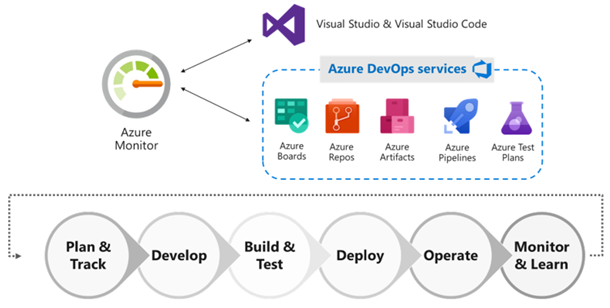 Microsoft AppDev Consultant Stewart Viera talks to us about the power of Azure DevOps and some of the things to watch out for when using it in an Enterprise setting. 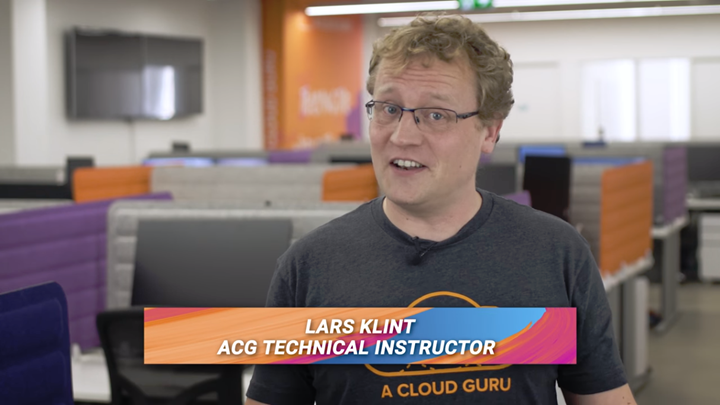 Dhruv Goel and Scott Hanselman discuss how to integrate Kafka with Azure Active Directory for authentication and set up fine-grained access control with Apache Ranger to let multiple users access Kafka easily and securely. With Azure HDInsight, you get the best of open source on a managed platform. Dhruv Goel and Scott Hanselman discuss how to get even more control over the security of your data at rest with Bring Your Own Key encryption for Kafka. With Azure HDInsight, you get the best of open source and the security and reliability of a managed platform. The Azure IoT Hub Automatic Device Management feature is now generally available and you can see how it is used in this new episode of the IoT Show to update the firmware of devices running Mongoose OS over the air. Express Logic's Industrial Grade X-WARE IoT Platform now includes the latest version of the Azure IoT SDK, providing Azure connectivity over MQTT and Automatic Device Management support 'out of the box' for users of the real time operating system ThreadX. Watch to find out what it means to be industrial grade in this conversation between Olivier and John Carbone from Express Logic. In this episode, we will provide step by step guidance on how to train machine learning models using the Visual Studio Code Tools for AI extension and Azure Machine Learning service. Azure Monitor helps you understand how your applications are performing and proactively identifies issues affecting them and the resources they depend on. Continuous Monitoring (CM) is a new follow-up concept to DevOps for incorporating monitoring across each phase of your DevOps and IT Ops cycles. This ensures the health, performance, and reliability of your apps and infrastructure continuously as it flows through the developer, production, and customers. Check out this post for seven best practices for Continuous Monitoring. Artificial intelligence (AI) is accelerating the digital transformation for every industry, with examples spanning manufacturing, retail, finance, healthcare and many others. At this rate, every industry will be able to use AI to amplify human ingenuity. 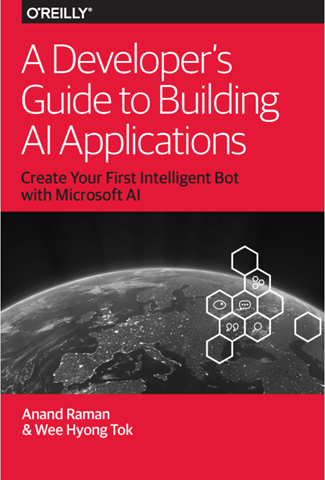 In this free O'Reilly e-book, A Developer’s Guide to Building AI Applications, Anand Raman and Wee Hyong Tok from Microsoft provide a comprehensive roadmap for developers to build their first AI-infused application. 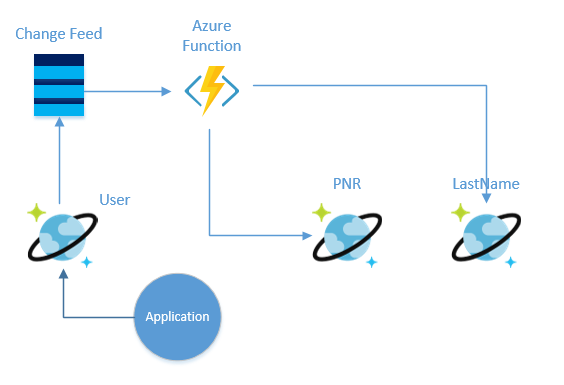 This blog post covers the pros and cons of some of the most widely used authentication types supported by the Azure IoT Hub Device Provisioning Service and Azure IoT Hub. In addition, this post includes a wealth of links to Azure IoT security resources, such as white papers, Azure IoT partners, and related blog posts. In this first part of a multi-part series of posts, see how you can use partition keys in Azure Cosmos DB to efficiently distribute data, improve application performance, and enable faster look-up. This post demonstrates using an Azure Function to consume the change feed to update lookup collections. Lookup collections can make your application more efficient in how it uses request units by using partition keys to avoid costly fan-out queries. Log Analytics is a service that collects telemetry and other data from a variety of sources and provide a query language for advanced analytics. Learn how to convert Azure Storage analytics logs and post to Azure Log Analytics workspace. Then, you can use analysis features in Log Analytics for Azure Storage (Blob, Table, and Queue). A sample Powershell script is provided to show how to convert Storage Analytics log data to JSON format and post the JSON data to a Log Analytics workspace. 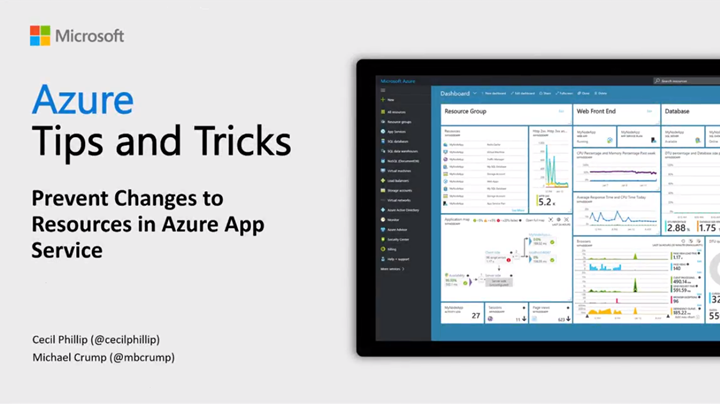 Learn how to prevent changes to resources in the Azure App Service. In the Azure App Service, you can easily create locks to prevent other users in your organization from accidentally deleting or modifying your resources. 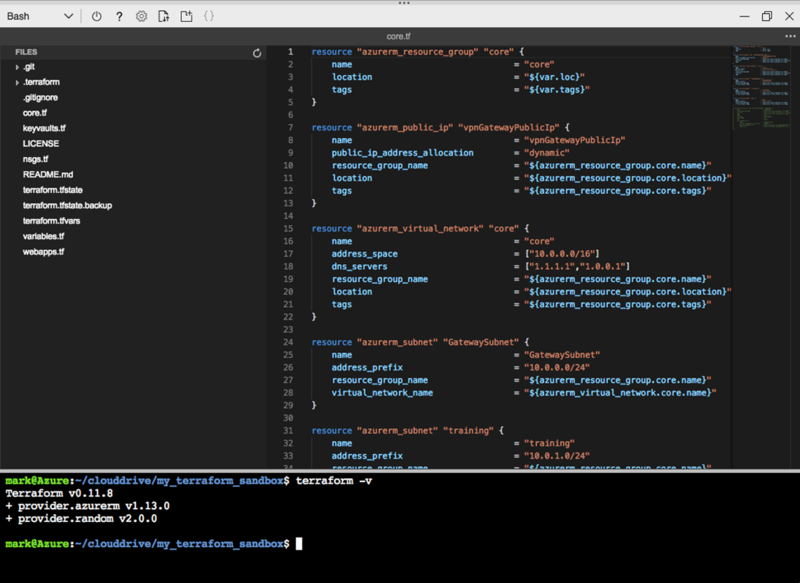 Learn how to get started with the Azure CLI on your MacOS machine. You can easily install the Azure CLI version 2.0 on MacOS by using Homebrew. Damian speaks to Edward Thomson about how to get started with Azure Pipelines - right from GitHub. The deep integration and GitHub Marketplace app for Azure Pipelines makes it incredibly easy to build your projects no matter what language you're using. You can even use the builds as part of your PR checks. Lori Lamkin and Jeffrey Palermo discuss what’s next for Lori as Director of PM, her strategy behind leading the big shift from VSTS to Azure DevOps, the current roles and duties within Microsoft Azure DevOps, what she sees as the biggest shift in progressing from Agile and adopting DevOps, and how DevOps has become more and more efficient. Prior to speaking at HashiConf '18, Brendan Burns posted about our growing partnership with HashiCorp. Our engineering teams collaborated to expand the resources and services supported by the Terraform provider for AzureRM and added several new integrations with HashiCorp Vault. From Terraform updates in Azure Cloud Shell to Consul Integrations on Azure, this progress has set a strong foundation for future collaboration and advancements in the Cloud and DevOps space. Reducing the complexity of IoT and accelerating time to value is a major differentiator that, when combined with our technology innovations, offers unsurpassed value to both our partners and customers. IoT in Action is a global event series that provides an opportunity for you to connect with other partners in the IoT ecosystem and learn more about the disruptive IoT solutions that are transforming the way business gets done. This post covers examples of Microsoft's partner + platform approach to illustrate how we're connecting partners and bridging their capabilities to expedite time to value for both customers and partners. Hear from industry leaders Henrik Fløe of Grundfos, Doug Weber from Rockwell Automation, Michael MacKenzie from Schneider Electric, and Alasdair Monk of The Weir Group on why they’re bullish on all things IoT, and how they’re leveraging it to innovate and grow. Connected products are already a part of everyday life. Smart thermostats remotely control home heating and cooling. Printers automatically order new ink cartridges before they run out. Wearable medical devices capture data that helps drive health decisions. To capture your share of this market by offering connected products, clarifying the right use case is the first big step. There are three main approaches: monitoring, control, and automation. But connected products require careful planning to succeed. Read this post to learn more about the pitfalls to avoid and where to get in-depth guidance. The Azure Marketplace is the premier destination for all your software needs – certified and optimized to run on Azure. Find, try, purchase, and provision applications & services from hundreds of leading software providers. You can also connect with Gold and Silver Microsoft Cloud Competency partners to help your adoption of Azure. In September, 64 offers from Cognosys, Inc. successfully met the onboarding criteria and went live. Cognosys, Inc. continues to be a leading Marketplace publisher, with more than 315 solutions available. This time on Azure This Week, Lars talks about Azure Digital Twins in public preview, ONNX runtime for machine learning now in preview, and US governments get more Azure love.